Recently I've become a little bit high maintainence in the eyelash department. I've been amazed at how a couple of simple individual extensions can uplift and elongate my little round eyes. This started as a Sunday evening experiment (when I had plenty of time on my hands) and has since spriralled out of control. Flash forward a week, and I'm manically applying them on a Monday/Tuesday/Wednesday morning, no matter how little time I may have on my hands. I'm doing it every bloody day. And I love it. This got me to thinking. Just why do some people pull of a bit of everyday drama in the eye department, while others fail terribly and end up looking like a drag queen? The trick is to look like you naturally have full/curly/lengthy lashes - depending on your taste - and not to like your wearing falsies. 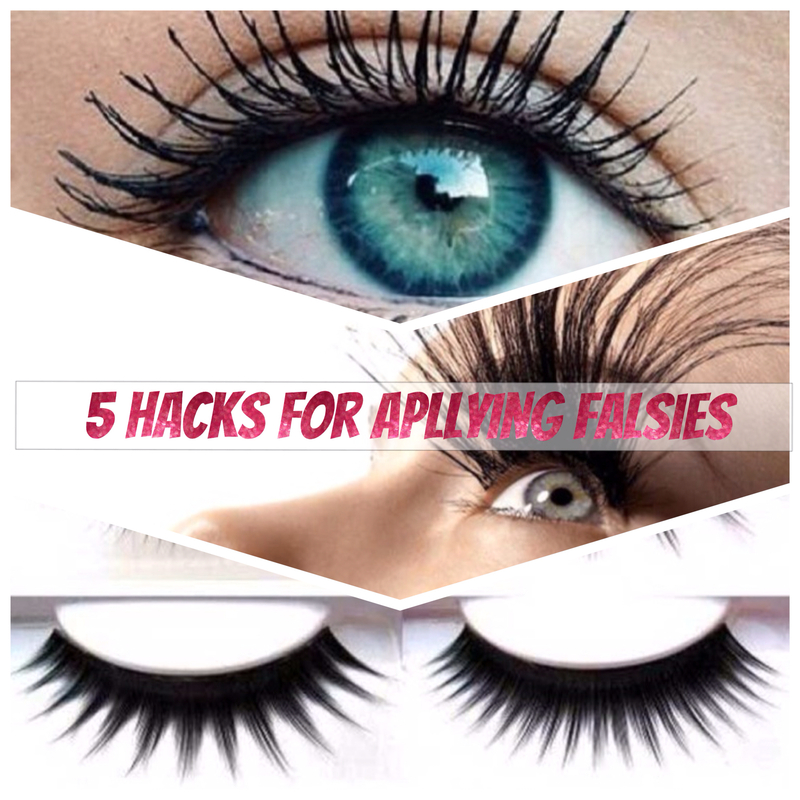 Feeling like somewhat of an eyelash guru, I decided to compile 5 steps to perfect false eyelashes. 1/ Always Cut or trim to size. As much as I love an Ardel lash (picked up in the supermarket whilst buying chicken for dinner) they certainly aren't custom made for my particular eye length/shape. Or yours. Or your friends. Or your mums. They are made to fit an average 'eye size' and that goes for any brand, no matter the price. That's why, if using the full strip lash, your probably going to end up with overhang on the inner corner, or one droopy eye - or both (the shame!) The ends will start to rebel and peel off, and that's never a good look. The way to combat this? Simply cut to size. I personally cut each lash into four, and one portion is enough to add definition to the outer eye. If your feeling super glam and you want the whole lash line covered, you can still apply these tiny portions but across your lashline - moving with your eyeshape rather than trying to bend the lash to fit - and thus looking a whole lot more natural. If this isn't currently a step in your falsie routine, this will revolutionise your life* Possibly an outlandish claim. 3/ Find your shape. 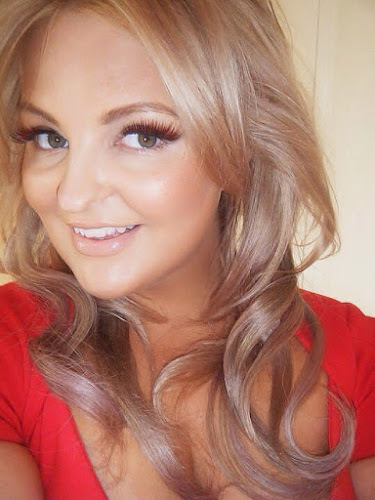 The world of false eyelashes is suprisingly a vast one. Who woulddathunkit. There will be certain shapes that suit your face, and others than will work against your features. Personally I look best with an accent, something flared at the outer corner and whispie. Any definition in my inner or middle eye line makes my eyes look an odd shape. If you have large almond shaped eyes, you could perhaps pull of a full lash with the length concentrated in the middle, rather than the corner. Once you find your style (mines Ardel Demies 120's) play around with them and find different ways to use them. For example, for an evening look I will double up my 120's, rather than trying to find a different more dramatic lash. If it's not broke, don't fix it. Know what suits you. 4/ Test out different brands. Probably the most obvious of my tips, but some brands may capture your heart more than others. For highstreet brands, I recommend Ardel or Kiss, which have tapered ends like a natural lash rather than flat plasticy looking ones. For high end, I can't get enough of Shu Uemura and Illamasqua, and Mac do pretty good range too. Once you've found your soul mate, hunt down the best price and fill up your bathroom cabinet. Everybody needs a back-up or two in their lives. 5/ Use the right glue. If your struggling getting to grips with application, it's probably more to do with your glue rather than your method. I prefer DollyWink glue, but it's only available in Asia so I stock up when I visit Hong Kong. My second favourite, and much easier to hunt down is Duo lash adhesive. Try to find a black glue rather than white to get the most natural lash blending. A rubber based glue will also make for a resistant and flexible hold, but easy removal. Wait at least 30 seconds between applying the glue and attempting to apply the lash, as you'll need the glue to be tacky to properly set. I hope you enjoyed these tips, and if you have any for me I'd love to hear them! What's your favourite style? If you have taken retirement from the job and earnings has been also shortened but would like to celebrate your birthday with great pump & show, then you need additional funds. In that situation, benefits payday loans may help you greatly right in time. You can acquire any amount ranging from £100 to £1000 with the flexible repayment period of 30 days. You are freedom to make use of the money for paying electricity bills, telephone bills, grocery store bills, sudden repairing of car, repairing of window’s pane, medical bills, birthday expenses, child’s school or tuition fees and so many more. There’re qualifications which you have to follow so as to obtain payday loans for people on benefits in stress free manner. In regard of criteria you should be a resident of United Kingdom, you are eighteen years of age, you are staying on DSS benefits and an active bank account is important to have. You are also worth taking monetary advantages despite history of credit issues, since there is no credit check done. That’s why you marked with adverse credit scores like defaults, arrears, foreclosure, late payments, missed payments, due payments, country court judgments etc are also accepted for the described loan. There’renumbers of people who have to rely on others to borrow money in order to get victory over unforeseen expenses. But people are suffering from history of bad credit like defaults, arrears, foreclosure, late payments, missed payments or due payments have to face rejection of application. Don’t worry! They can apply for same day payday loans through which you can grab hold of superb monetary aid based on your needs. Every salaried person can apply for an amount ranging from $100 to $1000 for the flexible repayment period of 14 to 31 days. Moreover, you can use the loan for paying medical bills, grocery store bills, child’s school or tuition fees et cetera. There’re some requirements which you have to follow as you are US resident eighteen years old in age, you are fulltime employee with stable income at least $1000 and you an active checking account. Being qualified, you are worth enjoying quick money loans regardless of your poor credit scores. As a result, you marked with defaults, arrears, foreclosure, late payments, CCJs, IVA or bankruptcy et cetera are accepted for making the money in stress free manner. The 1 Hour Payday Loans you can use for paying medical bills, electricity bills, child's school or tuition fees, home rents, sudden repairing of car, unexpected traveling expenses, grocery store bills, birthday expenses and many more. You are urgently in need of 1 Hour Payday Loans for a travel to a distant place with family to see your close relative who is sinking and you are exploring all possibilities to fetch the required cash. By compare with other loans, you can choose the best loan quotes related to this Payday Loans Online Same Day. Apart from these features, you can also utilize the sanctioned amount of funds for many purposes.